Our surf courses is suitable for beginners and intermediate level surfers between the ages of 8 and 50. No matter if you are young or old. We are not only a surfing school, we are a life experience! Be ready for a cultural (and food) immersion. Enjoy your holidays in a different way! We offer a number of different packages to meet your needs. From surf lessons to surf guiding, camel riding, mountain biking and fishing. If you are looking for bed and breakfast without surfing or any other activities this is also possible. The surf lessons are created to make you a good surfer, we offer you everything in order to improve your surf skills, all you need is to have desire and we will take care of the rest. We will offer you a board and wetsuit in addition to a coach who will help you in choosing the waves and the exact time to ride it and to experience the joy of riding a wave. Moknari, a small village that belongs to our family. It is located on a small desert, surrounded by mountains and a private beach spot! We do tranfer from agadir airport or bus station taxis are an option as well. ✔ Visit to Agadir souk with other excursions. "a great experience in a great family with the opportunity to go in many great places to surf. " 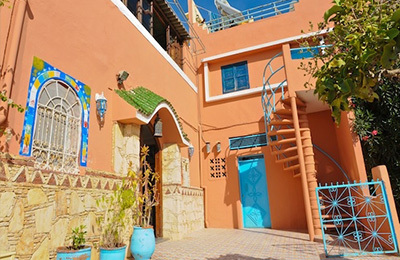 "Located on a remote hillside outside the main tourist areas, Hicham and his family are extremely welcoming and will immerse you in their way of living and culture including great food, good stories and intense games of rummikub. Also, the surf is great you will get the beach for yourself and even surf lessons when needed. 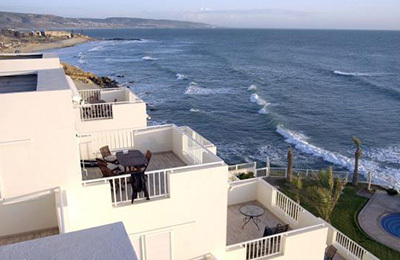 For an intense and truly Moroccan experience, disconnected from the rest of the world, look no further!" "I stayed with Hicham and his family for 5 days. After 1 year of busy work and studying in England, I found the perfect paradise to forget about the stress of the city and technology. We went to the Paradise Valley to swim, I learned how to surf and I enjoyed the amazing food that his family prepared. Also, I got to know his family and seriously, they are all amazing people. 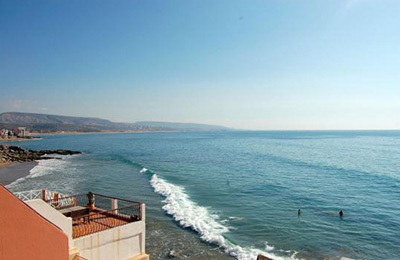 If you are searching a place to feel like home, not even hesitate, you need to go to the Surf House! The place is really interesting, as there are only 12 houses, and only 50 people live in there (and they are all family). Also, they have many goats, sheeps, chickens and turkeys, among argan trees, which they extract the argan oil in an artisan way. Sukran Hicham!" "Stayed with Hicham and his Family for five days beginning of October. You'll feel welcome from the very first moment, eat like a king and surf without crowds right in front of the village. There's amazing surf everywhere around; consistent waves at Tamri beach and famous spots such as Boilers, Dracula and Killer Point are all in driving distance. Hicham drove us around to surf, showed us old villages and other spots and took perfect care of us. This is what a surf trip is all about! Thanks for an awesome trip Hicham!" "The Surf house is super! The whole family was great and treated me like part of their own. Hicham is a great coach! Patient and humorous as well as a perfect local walking culture book who explained to me the amazing way of life. 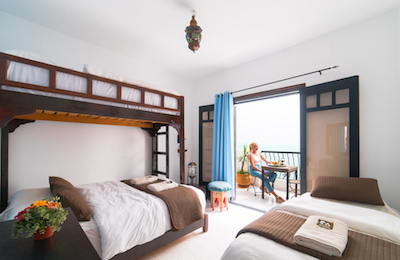 I stayed 4 days three nights I surfed and yes was able to stand and I was able to immerse myself in local Moroccan way of living."